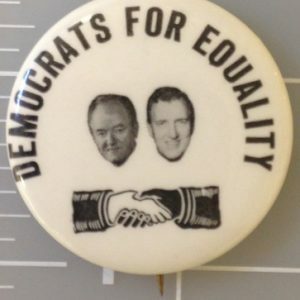 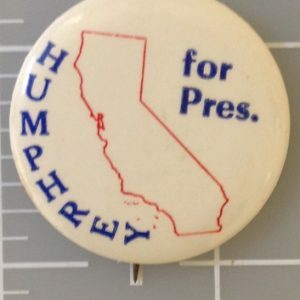 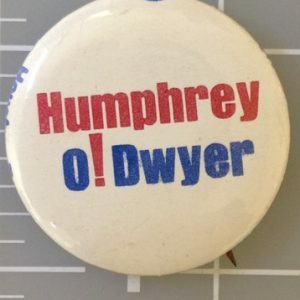 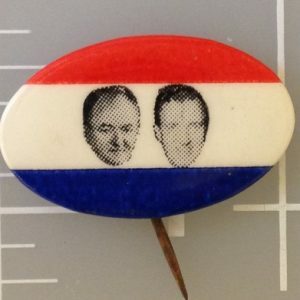 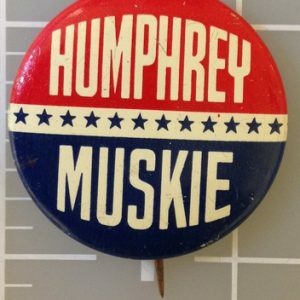 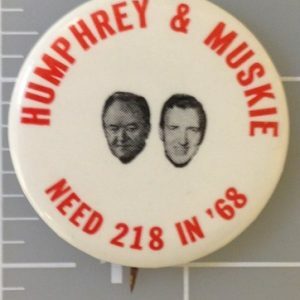 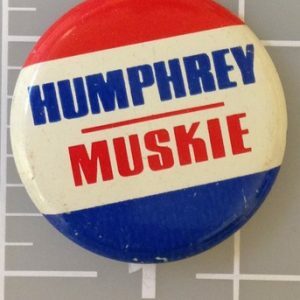 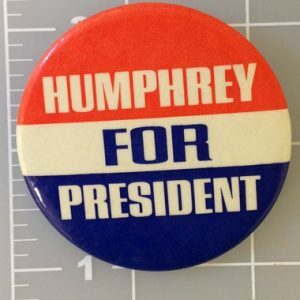 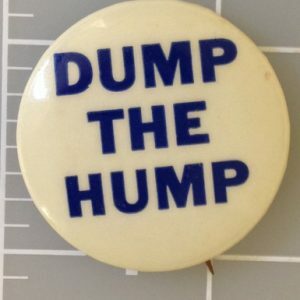 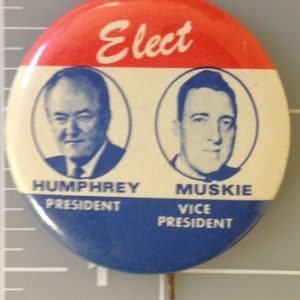 Hubert Humphrey campaign buttons were used in his nomination of the Democratic Party in the 1968 presidential election but lost to the Republican nominee, Richard Nixon. 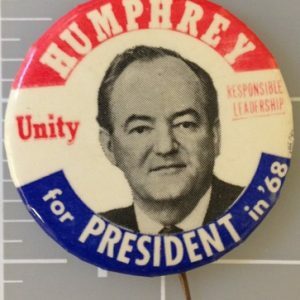 He was an American politician who was the 38th Vice President of the United States, serving under President Lyndon B. Johnson from 1965 to 1969. 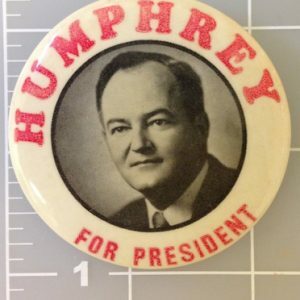 He was the nominee of the Democratic Party in the 1968 presidential election but lost to the Republican nominee, Richard Nixon.